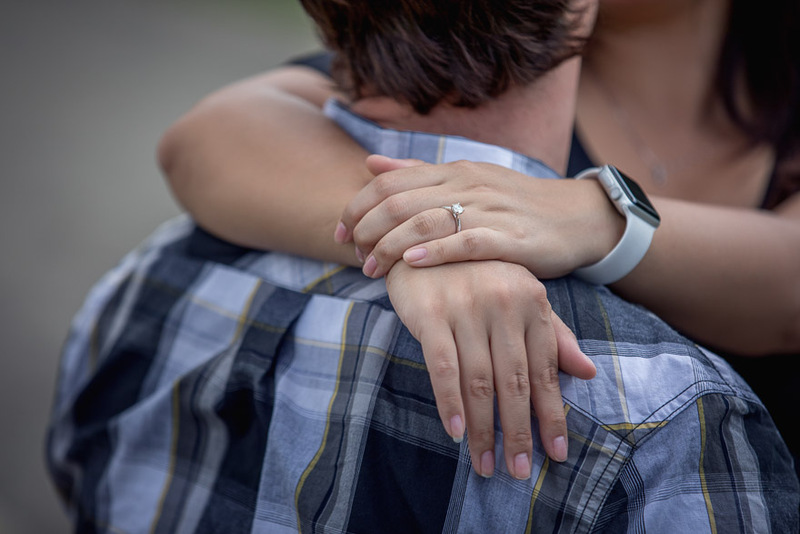 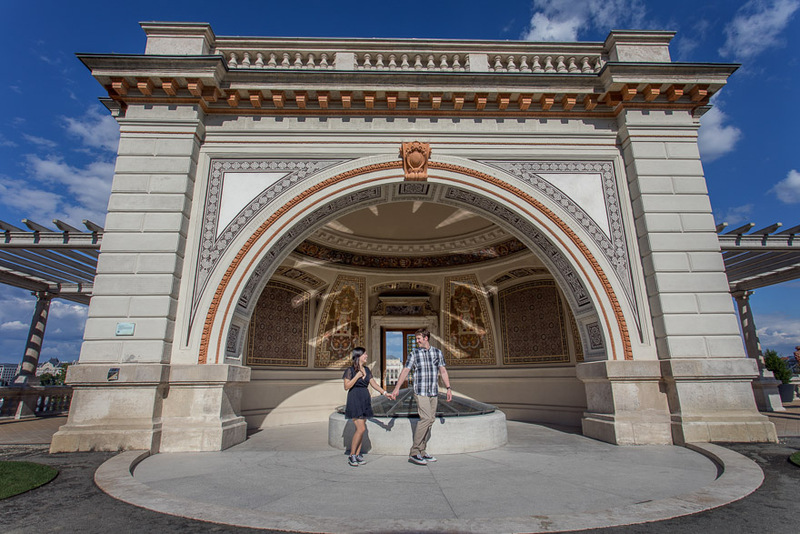 Nowadays not only engagement photography, but proposal photography is very popular, too, especially at nice city locations. 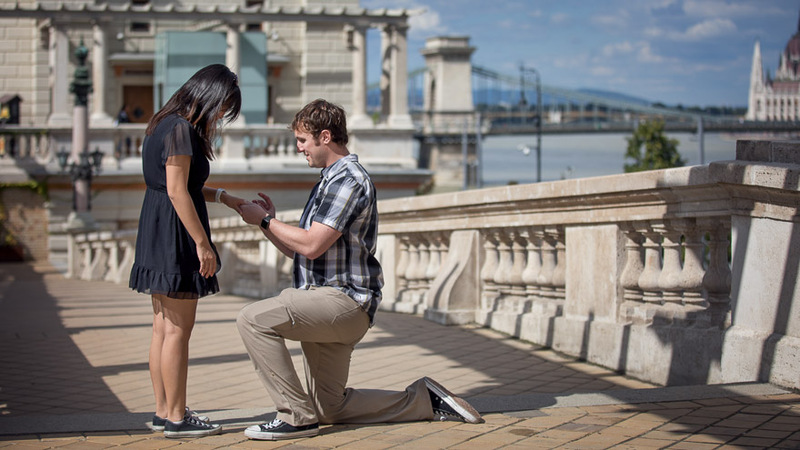 Many times we speak about secret proposal photography, where the photographer is hidden and the girl doesn’t know about the photographer’s presence. 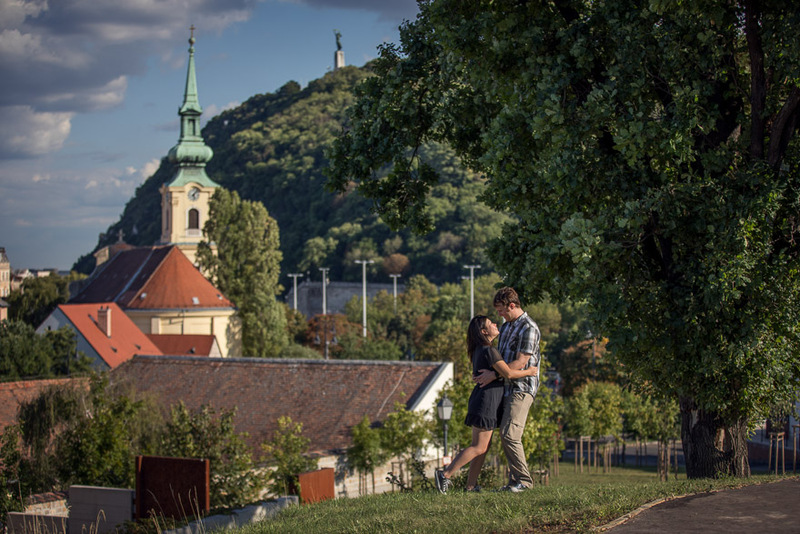 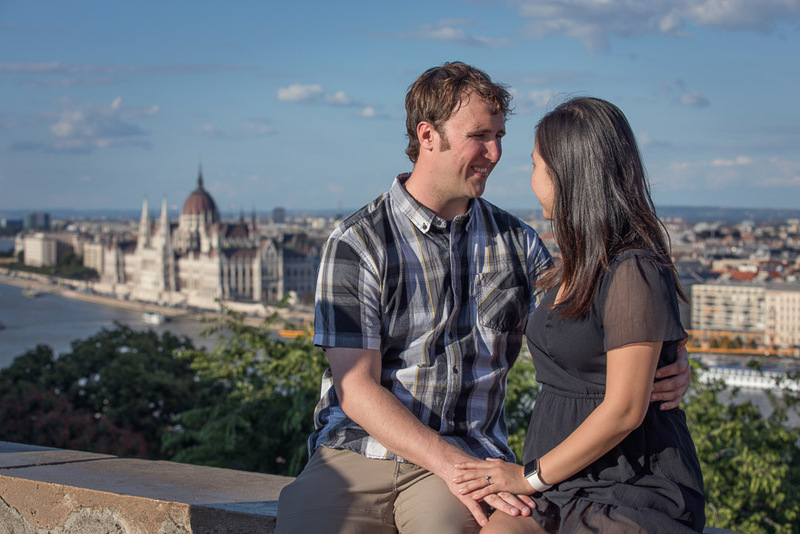 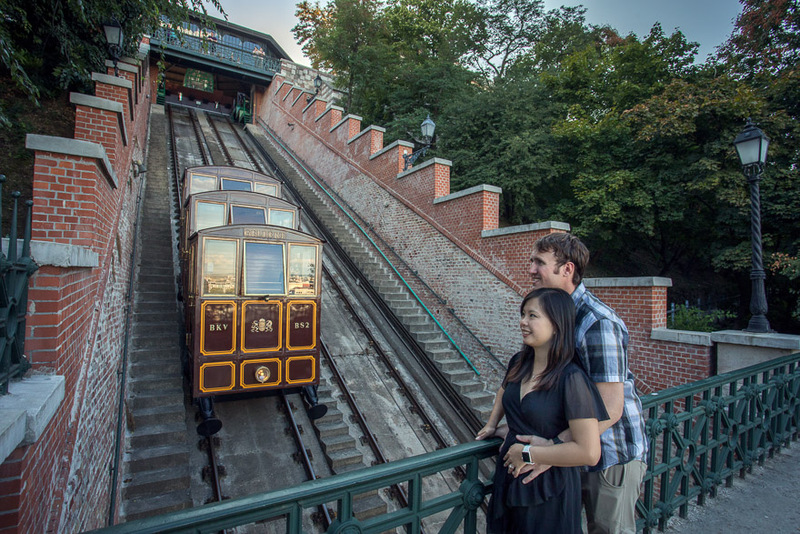 Budapest is an ideal location for proposal photography since it has plenty beautiful locations in the downtown area, like St. Stephens Basilica, the Danube with the Chain Bridge, Fisherman’s Bastion, Buda Castle and the Castle Garden Bazaar. 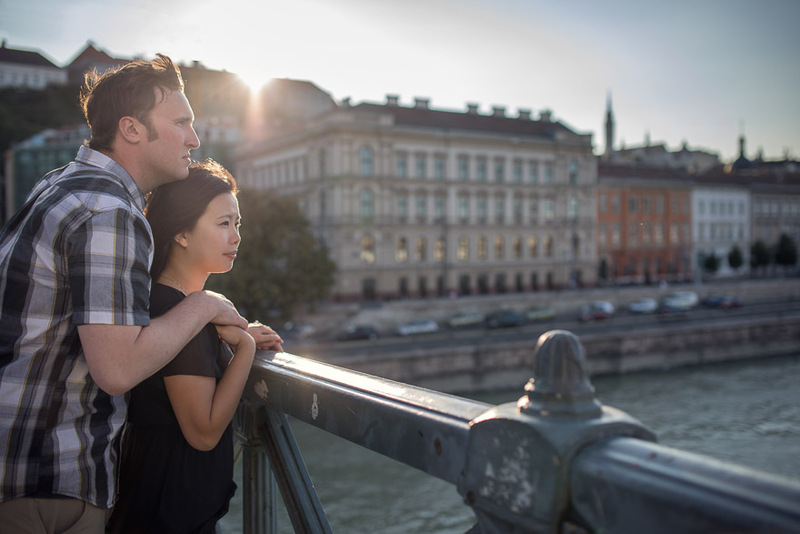 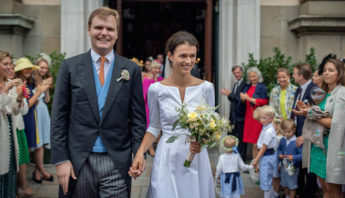 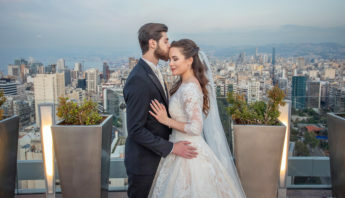 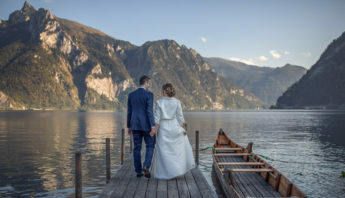 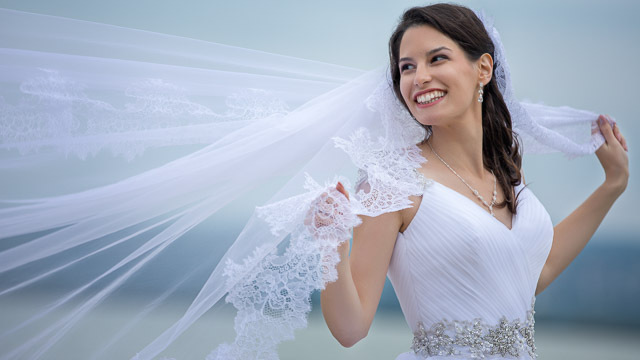 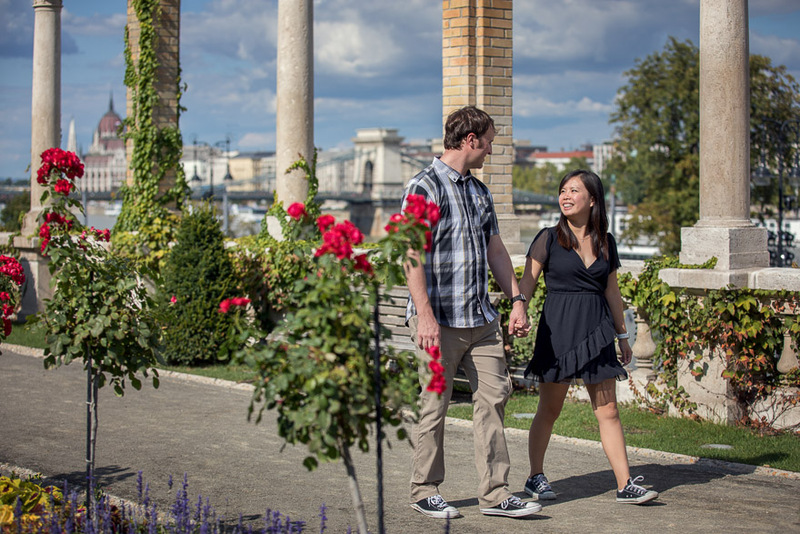 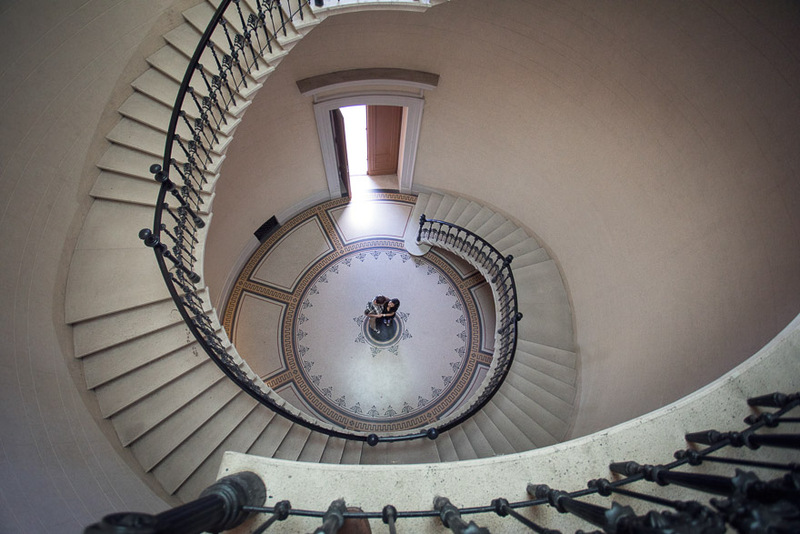 In many cases, at least one member of the couples is from Hungary but more and more frequently couples from abroad visiting the capital of Hungary choose Budapest as their proposal location, too. 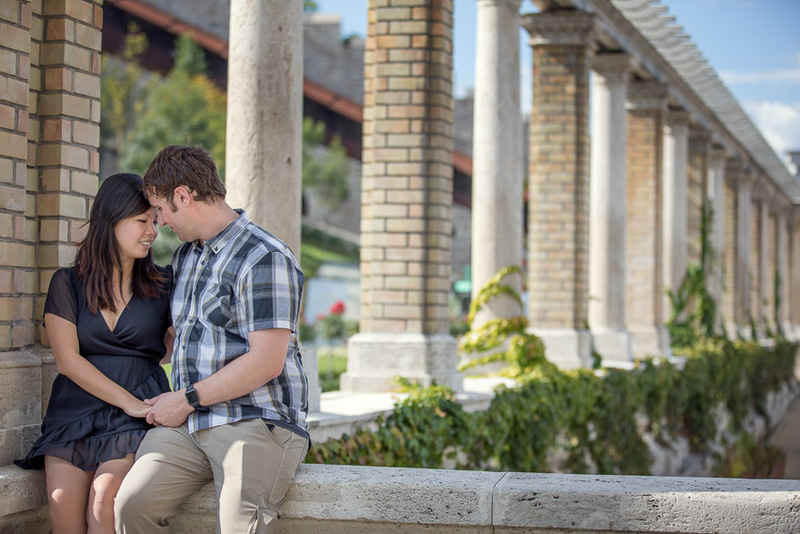 In the photo series below you can see Sue and Michael from the United States. 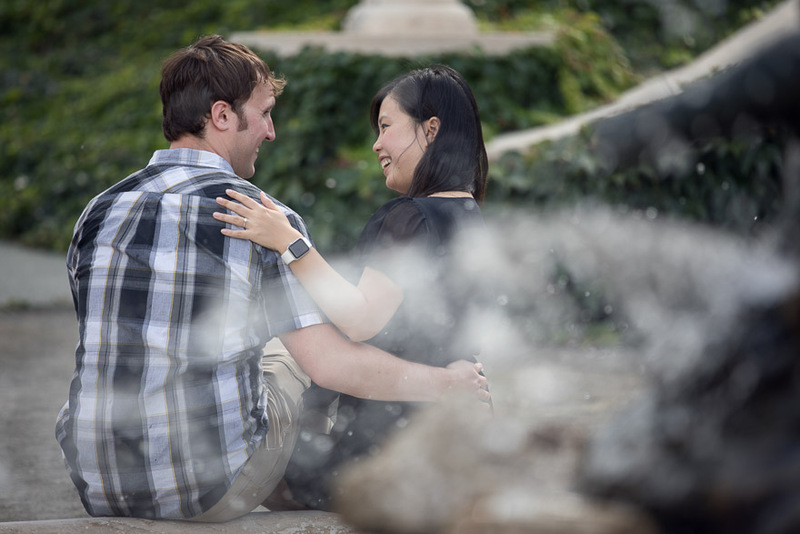 Both of them live in Phoenix, where they first met. 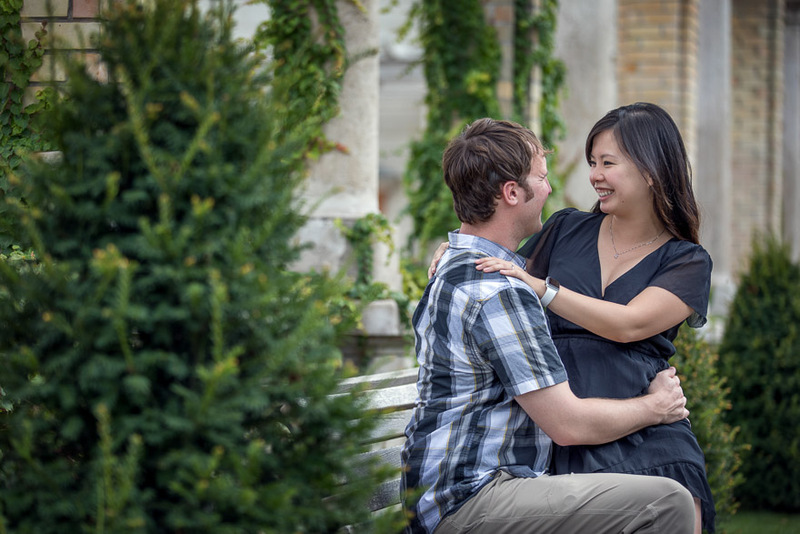 Michael contacted me a few weeks before the secret proposal, which turned out to be a real surprise for her. 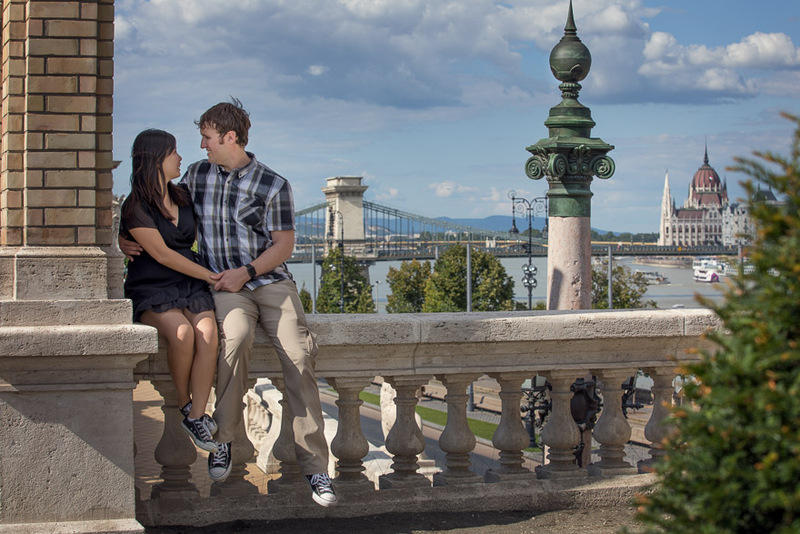 He chose the Chain Bridge as a scenic location in the background for the proposal on a bright summer day. 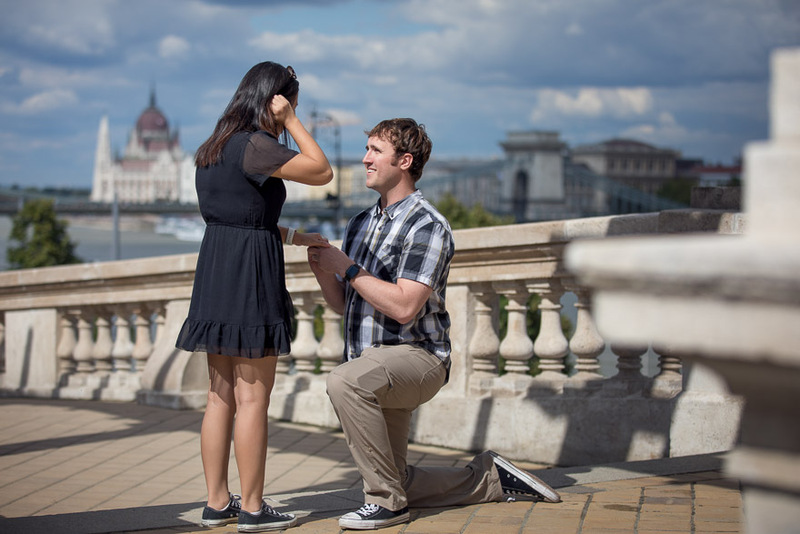 After the touching moments of proposing her, we wandered through Budapest and created a lot of memorable portraits. 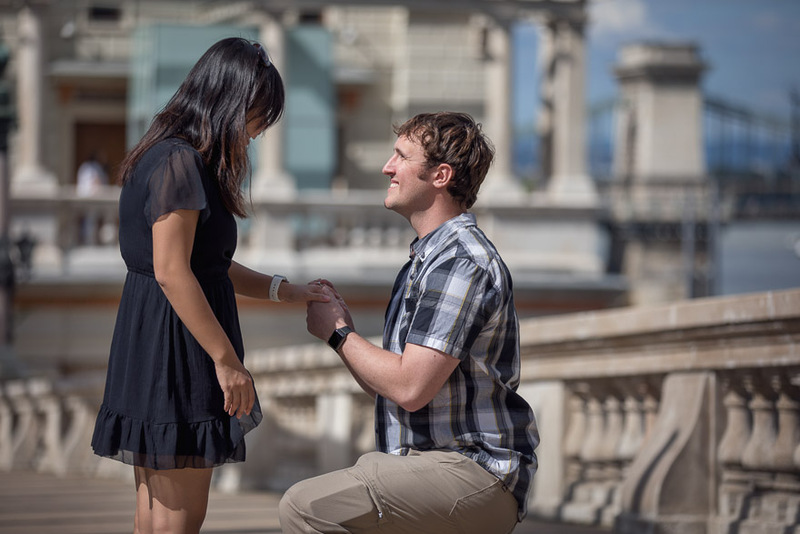 If you would like us to photograph your proposal, please let us know. 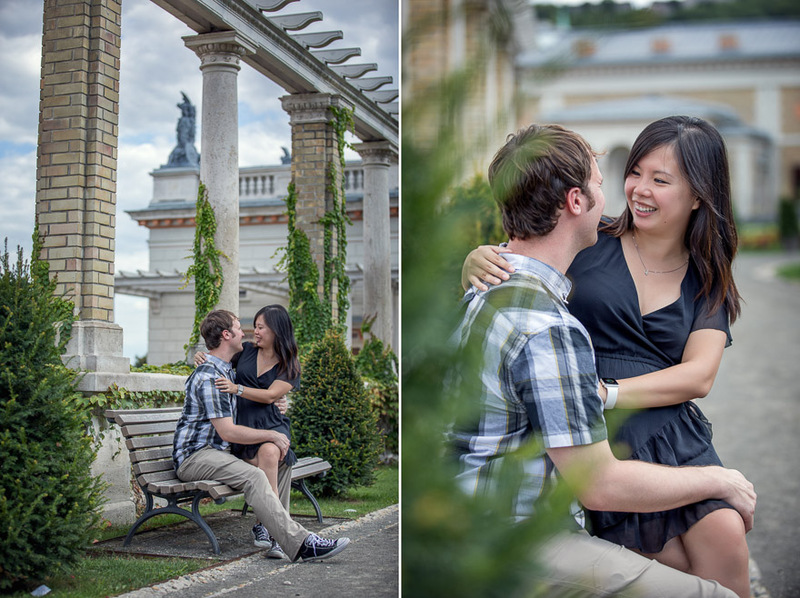 You can view our complete engagement session gallery here.